When it comes to classic, old-school cigars, few brands come to mind more than Arturo Fuente. In an era of so many brands bringing new cigars to market constantly, Fuente has never given in to that pressure of the new release treadmill, or the need to chase trends. All of which makes their recent announcement particularly noteworthy. I, for one, am very excited to see what the new Nicaraguan factory can create. Fuente makes cigars that stack up well at every price point, from the bargain bin mixed-filler Curly Head to the ultra-premium limited edition Opus X releases. Fundamentally, though, they’ve always been characterized by Dominican tobaccos, especially fillers. The prospect of an abundance of Nicaraguan tobacco in new Fuente blends sounds good to me. 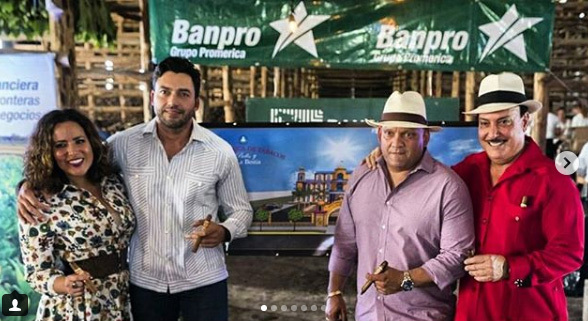 That Fuente brought in Felix Mesa of El Galan Cigars (maker of the Doña Nieves) to run the Nicaraguan operations is especially promising. The announcement is also a sign of the emergence of Nicaraguan cigars. Not that long ago, Nicaragua was third among countries when it came to importing handmade cigars into the United States, behind Honduras and far behind the Dominican Republic. Today, for the second straight year, Nicaragua has edged out the Dominican Republic, with Honduras a distant third. Put simply: If you were starting a new cigar company today, the most obvious place to build your factory would be Nicaragua. Yes, labor costs that are lower than the Dominican Republic. But the biggest reason would be the access to Nicaraguan tobaccos. In many ways, Fuente’s announcement is the culmination of Nicaragua’s ascendance. In short, it’s a big deal, and a sign of the where the U.S. cigar market is now.